Talib was acquired in a trade with Denver for a fifth-round pick in the offseason. 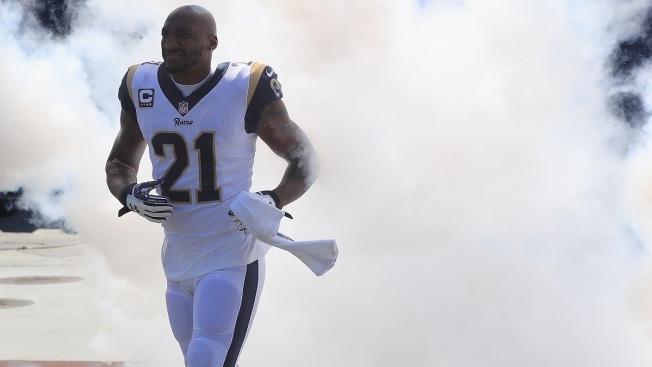 Los Angeles Rams cornerback Aqib Talib could miss a significant amount of time because of an ankle injury. Talib will likely need surgery to repair the injury he sustained in the second half of the Rams' 35-23 win over the Chargers on Sunday, Rams coach Sean McVay said. Talib, who was acquired in a trade with Denver for a fifth-round pick in the offseason, will get a second opinion Tuesday before finalizing plans to address the injury. A 2016 All-Pro and five-time Pro Bowler, Talib has six tackles and two passes defended for a Rams defense that has allowed a league-low 12 points per game and two touchdown passes through its first three games. A decision whether to place Talib on injured reserve would come once there is more information available and a course of treatment is determined, McVay said. McVay said the Rams caught a break regarding the injury to their other starting cornerback Marcus Peters. Peters, who sustained a calf injury in the second quarter, is day to day and could play against Minnesota on Thursday night. The injuries to Talib and Peters, who was acquired from Kansas City for a fourth-round pick and 2019 second-round pick, left the Rams with three cornerbacks available to close out the game against the Chargers.